Ekornes Stressless Jazz Recliner Chair Lounger - Ekornes Stressless Jazz Recliners, Stressless Chairs, Stressless Sofas and other Ergonomic Furniture. 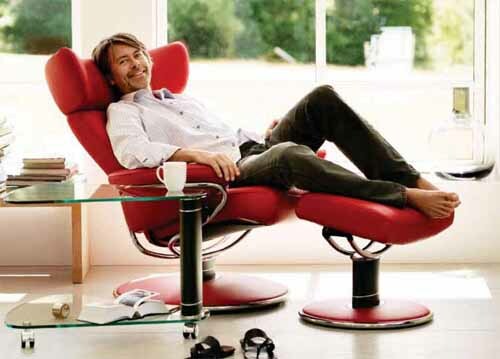 The Stressless® Jazz is a result of more than 35 years of refining our two core values, function and comfort. Though highly contemporary, the rounded base and sleek steel frame pay tribute to our true classic: The Stressless® Jazz Original from 1971. 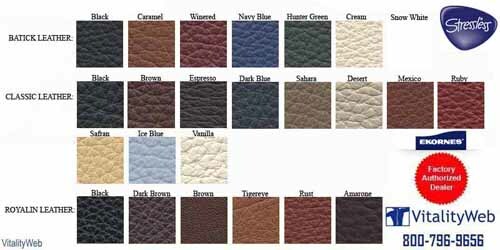 The Stressless® continues our tradition of comfort, function and quality. 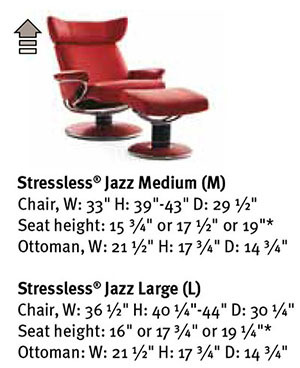 The Stressless® Jazz and its ottoman can be adjusted to match your height. Adding or removing any of the three rings on the base allows you to choose between low, medium or high settings. 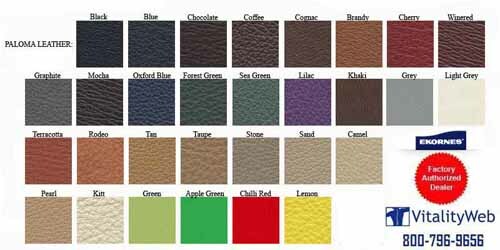 Stocking Color for Quick Shipping is BLACK PALOMA Leather. No Matching Sofas for the Jazz Recliners. 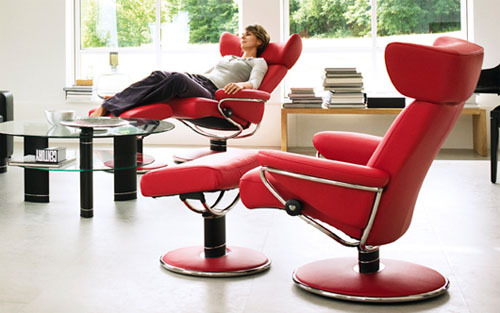 Stressless Jazz in Paloma Chilli Red Leather with Stainless Steel Finish. 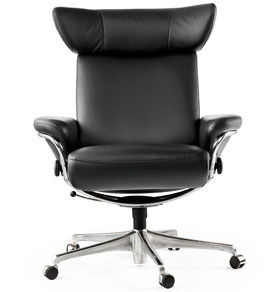 Stressless Jazz in Batick Snow Leather with Stainless Steel Finish.